Mojoy: Playin on the driveway. Having a pretty long and tiring week!~ mentally, physically and otherwise. Just stit back and enjoy our last Saturday morning on the driveway. We have a few riding toys to choose from! ANd please note that I did not put that turbin-looking hat on Gabbi. She chose it herself. It should have been folded over at the bottom, as it is really cute that way. But HEY... It's Saturday, so let er rip, tater chip! Nor did I choose the dress over the toulle skirt. But, again, no one was there to see us in all our round the house glory! Ellie has pretty much gotten it into her head that I will have a camera pointed at her every time she comes around the cars for another lap! She just starts smiling now when she sees me! Oh, and being a really good mama and all, I built them a track to maneuver. People are kind of amazed that my two year old can steer this big ol' four wheeler. THIS is why I think she picked it up at such a young age. She had a driving instructor! One of these close ups of the two of them really MUST make my photo wall at the house! Gabbi looks like Aunt Jemima! But Aunt Jemima has never looked so cute! I am really, really glad my girls have each other to play with. Hope you all have a happy Thursday. Owning a business is a LOT of work! My favorite is Gabbi smiling big and Ellie sticking her tongue out! These are great sister pictures for the wall! Going to say an extra prayer for you this morning, just remember you are an amazing leader and boss!! Man--they have a whole fleet of riding vehicles, don't they? :) Gabbi girl looks too cute in her hat! Maybe she's gonna start getting "opinionated" about what she wears, like big sister! I love the sheer joy on their faces where they're on the 4-wheeler together...such sweet sister love!! 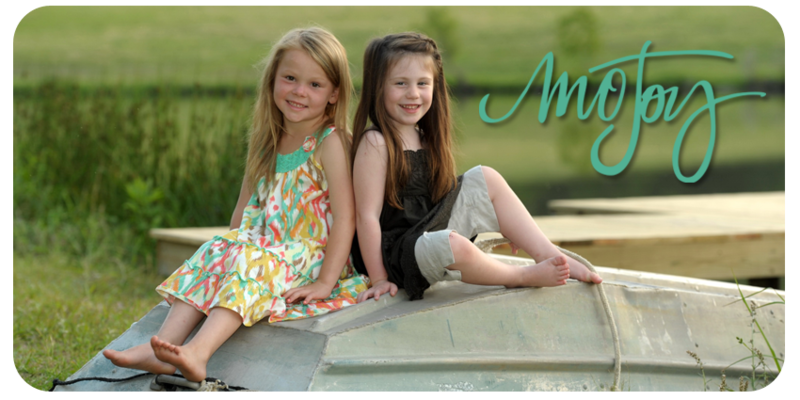 Hope your week gets better--but it's almost over...so then you'll get to enjoy another weekend with those sweet girls!! I also love the one with Gabbi smiling and Ellie sticking her tongue out. ADORABLE! Love the hat too! I will say a prayer for you and your tough week. I hope it turns around! You're amazing! Oh what fun...so looking forward to warmer weather in my neck of the woods...have another snow storm coming in this weekend though...sigh. The second to last picture is adorable of Gabbi, her smile is priceless in that one!! Hi Mo ~ What a fun way to spend a Saturday morning! The BOTH look like they are having such a good time driving around - adorable! And Gabbi with that hat - too cute! Their little faces are priceless!! what a fun looking Saturday!!! Their smiles are precious! I'm thinking Gabbi may become more and more like her sister when it comes to clothes and accessories. Love love love the happiness on those cute lil faces. I'm impressed that Gabbi can actually steer that thing too! Cute close-ups! The hat is sooooo.... cute on Gabbie girl, and I agree you must blow one of those up for a wall. Again thanks for sharing your life with all of us. Sorry to hear of your tough week. I pray that things get better very soon. I cannot wait until it's short sleeve/barefoot weather here!